There’s little doubt that Nikola Tesla was a genius. Among other things it was his AC that beat Thomas Edison’s DC. 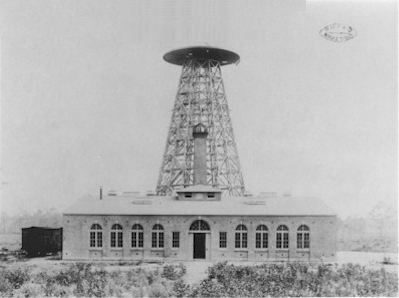 His Shoreham, Long Island Lab infamous for the Wardenclyffe Tower (aka Tesla Tower) is up for sale by it’s current owner Agfa. The actual tower is long gone, but building designed by the famed architect Stanford White is still standing though abandon and in need of some preservation and restoration. There are hopes it will be purchased to be turned into a museum rather than leveled and redeveloped [NY Times].